PoE: What The Development Team Is Working On? 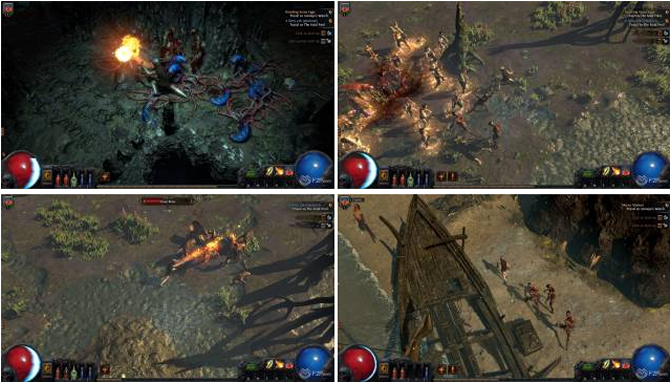 In Path of Exile, do you want to know what the development team is working on and what to expect in the coming weeks? As many players know, GGG have already made several improvements to the Bestiary League so far. You can read about them in the official forum. Path of Exile Bestiary team is currently working on Patch 3.2.1b, which is scheduled for deployment this week on PC and next week on Xbox One. This patch focuses on increasing the challenge and reward of “yellow” Beasts (the ones that occur roughly once per map and have a single Bestiary mod) so that they feel closer to the intentionally-rare “red” Legendary ones. GGG said that they do not plan to make the “red” ones more common because they are already an overwhelming source of good items, but by making the “yellow” ones much better, they can achieve a similar effect in a better way. They have modified the fights with the “yellow” Beasts in Maps so that they are more challenging, drop more items and occur more often. In addition to the “Craft a rare item with specific mod” recipes that consume them being improved last week, these Beasts are also components for a new batch of recipes that can produce Unique Talismans, Orbs of Horizons and, with some effort, Harbinger’s Orbs. There are other Bestiary improvements coming as they are ready, such as the ability to see what unlocked recipes a Beast is part of before you sacrifice it. While a small portion of the team is still adding changes to the current league, most of the team have moved onto working full-time on Content Update 3.3.0. I feel exactly like this. I want to test my skills against the hard (new and old) content of the leagues. I want to test my skills with various builds and this is the reason for me to reroll and try another character. If I’m running out of steam to even get to the content – I have no more incentive and I go play PUBG instead where every game is a PoE “light” story of loot acquisition/build development and increasing challenge. This entry was posted in other and tagged Development Team. Bookmark the permalink.